Cremation Jewelry is one of those areas where every artist can create something wonderfully unique to remember a loved one. We've collected our top picks from five providers of cremation jewelry and listed them below. 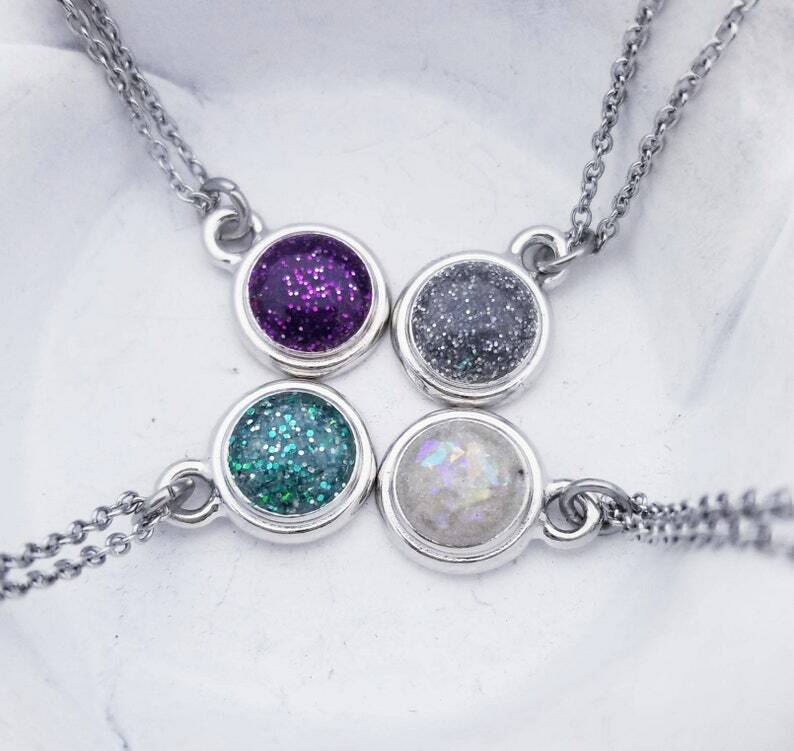 These lovely sterling silver pendants have been infused with crushed opals and cremation ash. 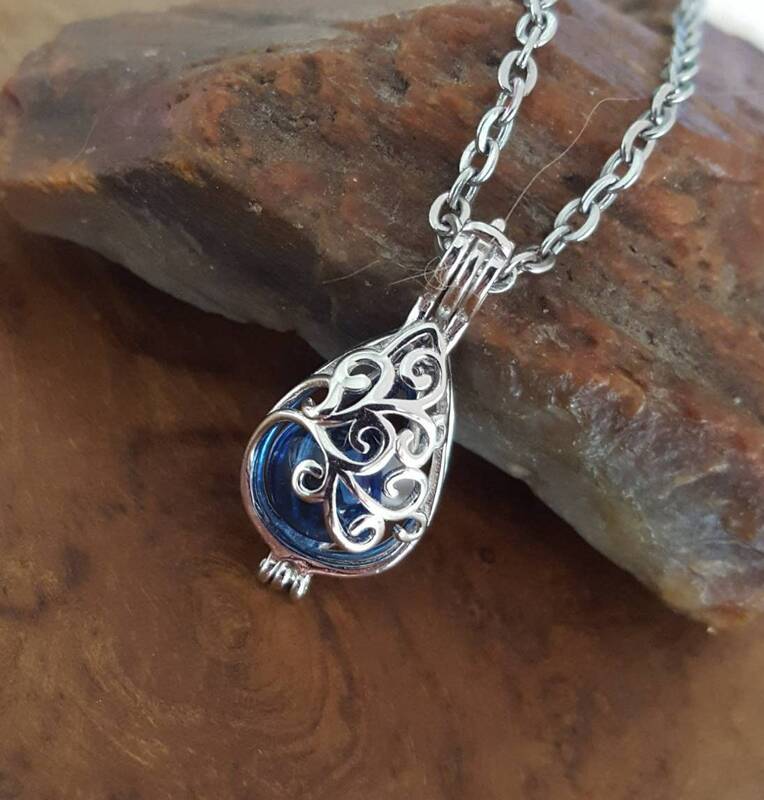 Made from the ashes of people and pets, it's representative of the memorial jewelry she creates. Below is a sample of the work by Locked in Art. Much of their work is based on silver jewelry building around a single round bead or cabochon. Where many glass based cremation jewelry artists are lampwork based, Hayden Brook creates his memorial necklaces from the cremation ashes of people and pets using fused glass construction techniques. His jewelry has a layered effect and makes beautiful use of dichroic glass. 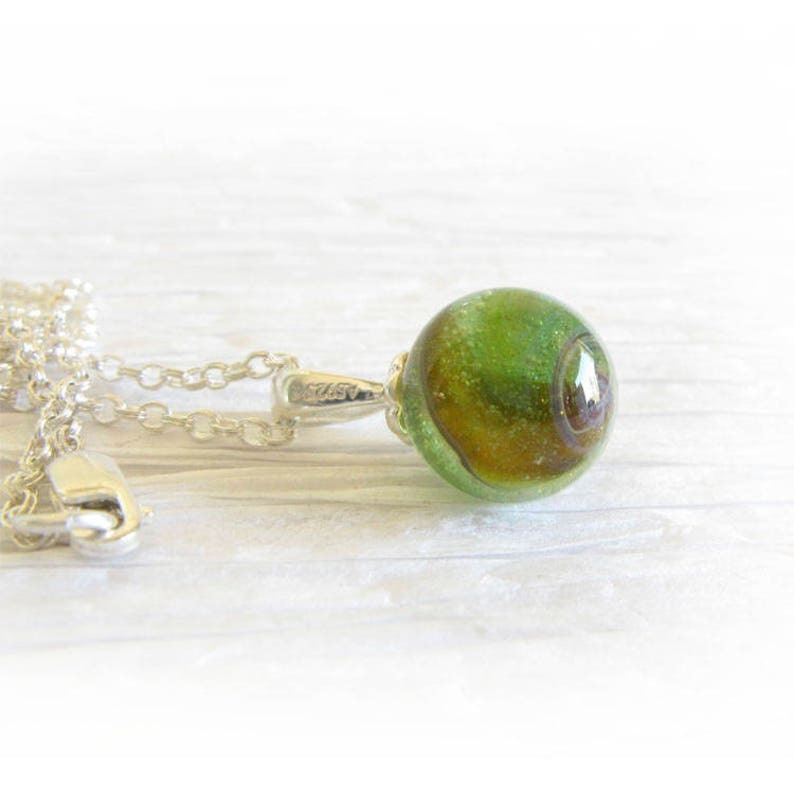 Thoughtful Keepsakes has developed a hollow glass bead which can be filled by the end recipient rather than having the cremains fused directly into the glass. Spirit Pieces's Caged Galaxy Pendant incorporates several advanced glass making techniques to make a truly special memorial necklace. 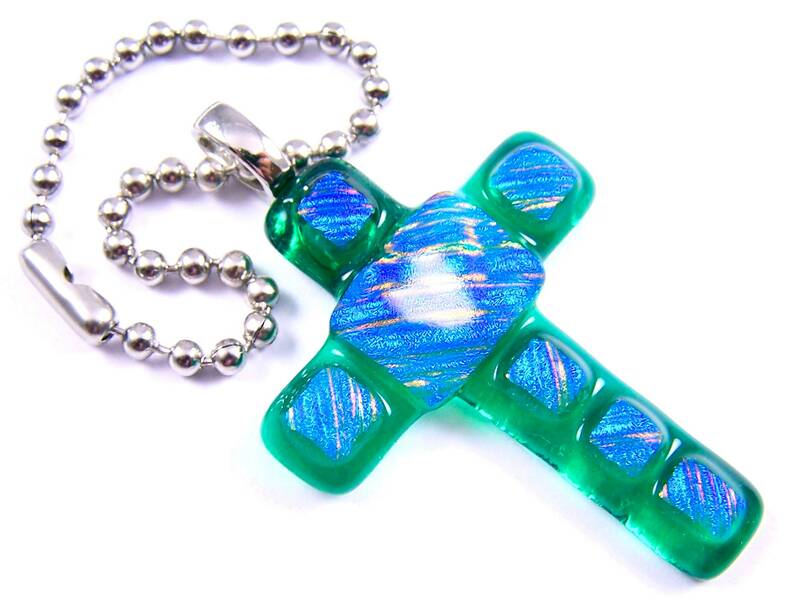 This item combines an opal, fuming and Dichroic glass with a silver cage. The cremation ashes from people and pets sits on the Dichroic glass under the opal planet and clouds. Not sure what type of cremation jewelry you should purchase? Read this short article for insight and suggestions.